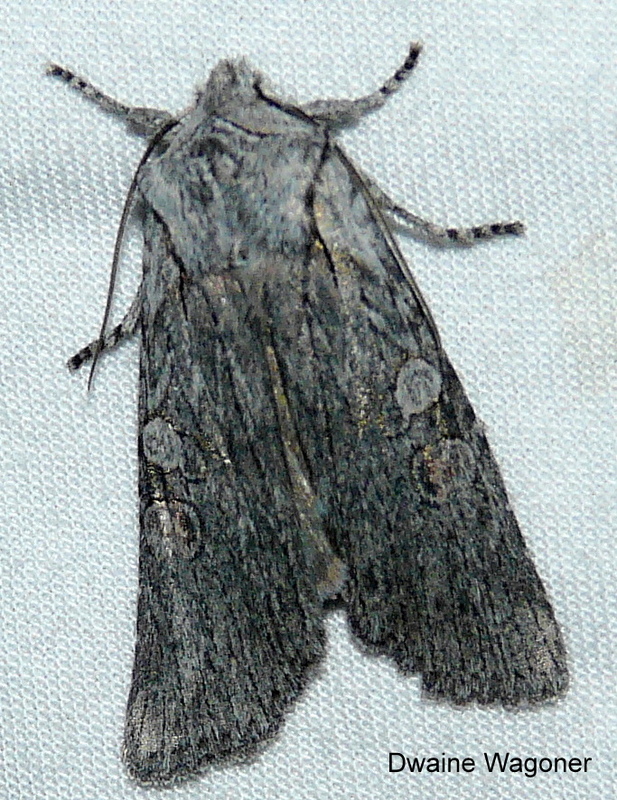 Identification: A medium-sized,narrow-winged moth with blue-grey forewings and a prominent pale orbicular spot. There is a long thin basal dash and dark contrasting veins; normal lines mostly obsolete and the subterminal line a series of small blackish wedges between the veins. The orbicular is erect, oblong and pale, and the reniform is high and narrow, slightly concave on the outer side, and pale ringed with some dark filling, especially at the lower end. The hindwings are pale brown-grey. Habitat: Mature deciduous woodland, plantations, etc. Range: Quebec, Maine and New York west across southern Canada to Vancouver Island, north to the Northwest Territories and south in the mountains to Arizona and California.